[A] LGI (Large Group Instruction) room. 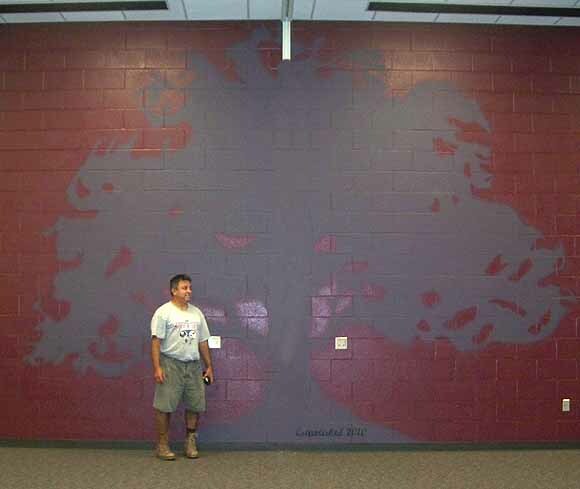 The tree was projected on the wall to to get the right size, which was then approved by the principal. 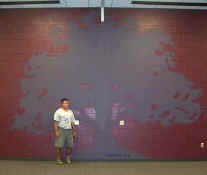 It was then painted with roller and brush and then we airbrushed the edges to give a soft, feathered edge, and unique look. 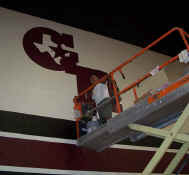 The rest of the graphics were simply hand-painted, no airbrushing was used. The elevations varies between 5 Ft to 20 Ft. in the gymnasiums. [B] The completed gym: you can Gatica on the lift up around 20 Ft. high as he works on hand-painting the large logos in the main gym. You can see the final products on the following photo. 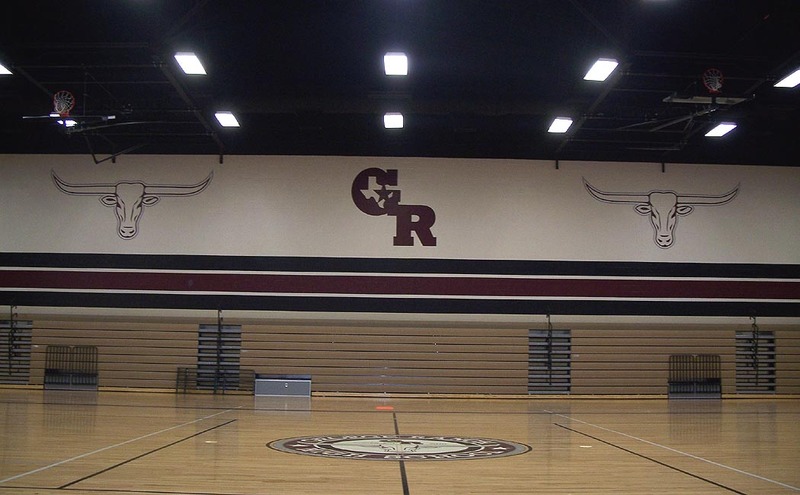 [C] Final product in the main gym, after three weeks. 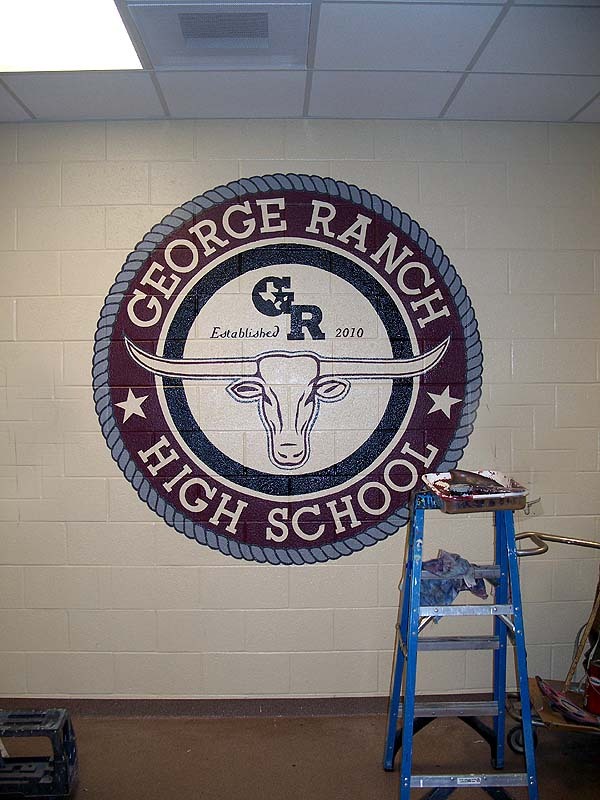 These graphics was around 8 X 8 Ft. feet tall, and the Longhorns on the side were around 20 ft. wide and 8 Ft. tall. 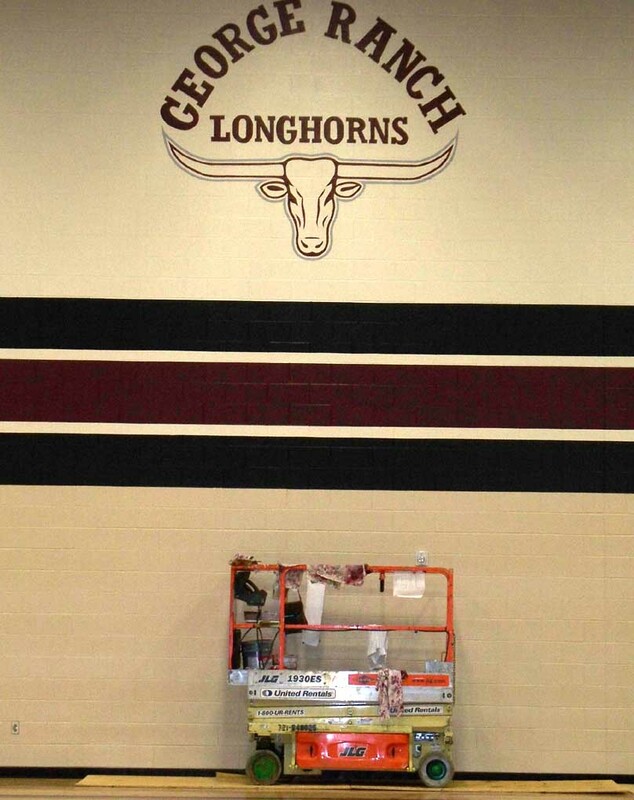 [D] Foyer, elevation is between 8-15 Ft.
We also painted a few school and gym graphics at the Junior High School as part of the same project. go to see them. 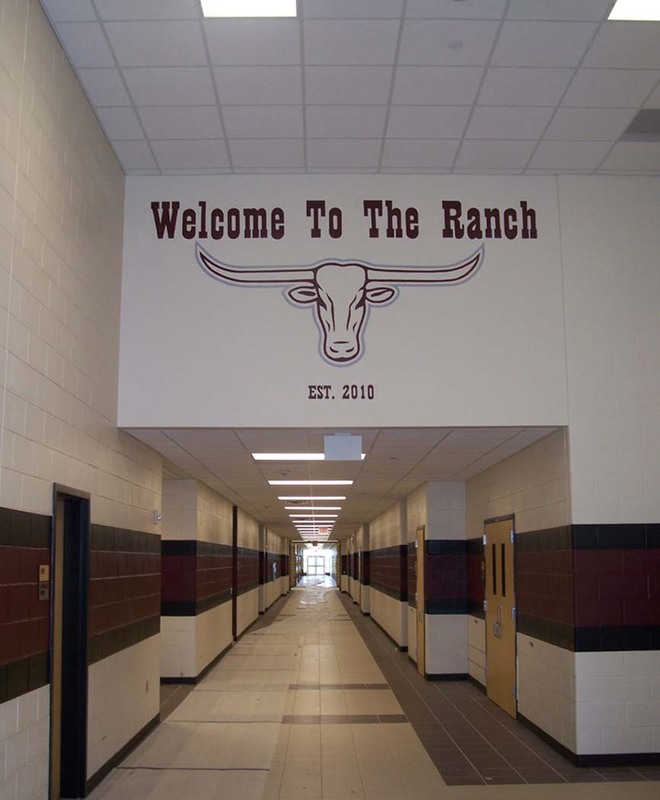 [D] Foyer: Welcomes visitors to the Ranch. This was a good idea instead of letting the spcae go to waste. 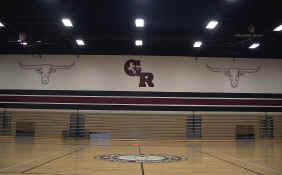 [E] The smaller gym got a different logo than the larger gym (above).